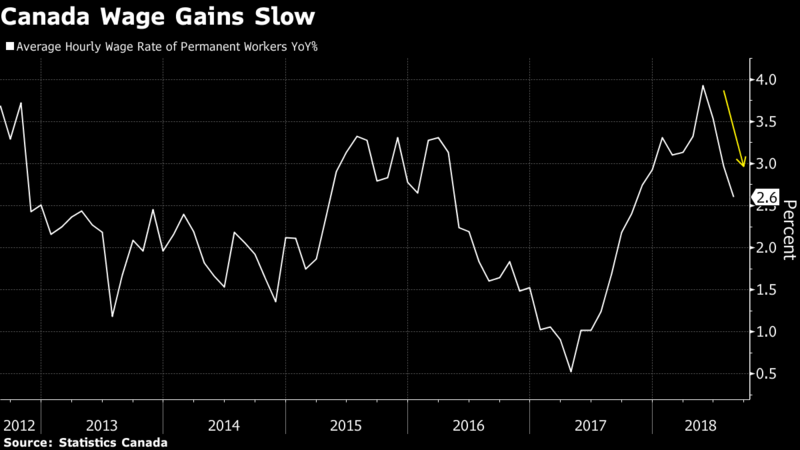 "The wacky world of Canadian jobs data stayed that way in August, but there was at least one positive amidst a generally downbeat report that came on the heels of an upbeat July. That positive was in a solid 40,000 rise in full time work, but that was swamped by a nose-dive in part time jobs," Avery Shenfeld, managing director and chief economist with CIBC Capital Markets, wrote in a note to clients. The net loss in August -- which was the second largest monthly decline since the last recession -- drove the unemployment rate to 6 per cent, from 5.8 per cent a month earlier, while wage gains decelerated to their slowest this year. However, the jobless rate still remains near four-decade lows.